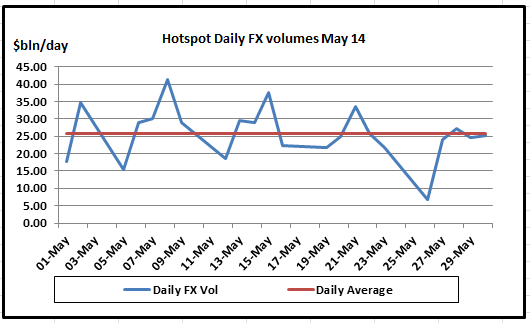 just caught my eye that HotSpot ECN is moving from monthly to publishing daily FX volumes. 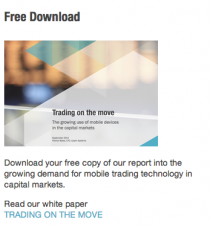 This is a great move in terms of improved transparency, and no real technical reason why the other major platforms such as FXall, Reuters and EBS shouldn’t follow suite (they all release monthly volumes over the next couple of weeks). Interestingly the peak daily volume on Hotspot of $41.3bln/day on 8th May was close to 60% average daily volumes of $68.5bln/day that EBS saw over the month of April.